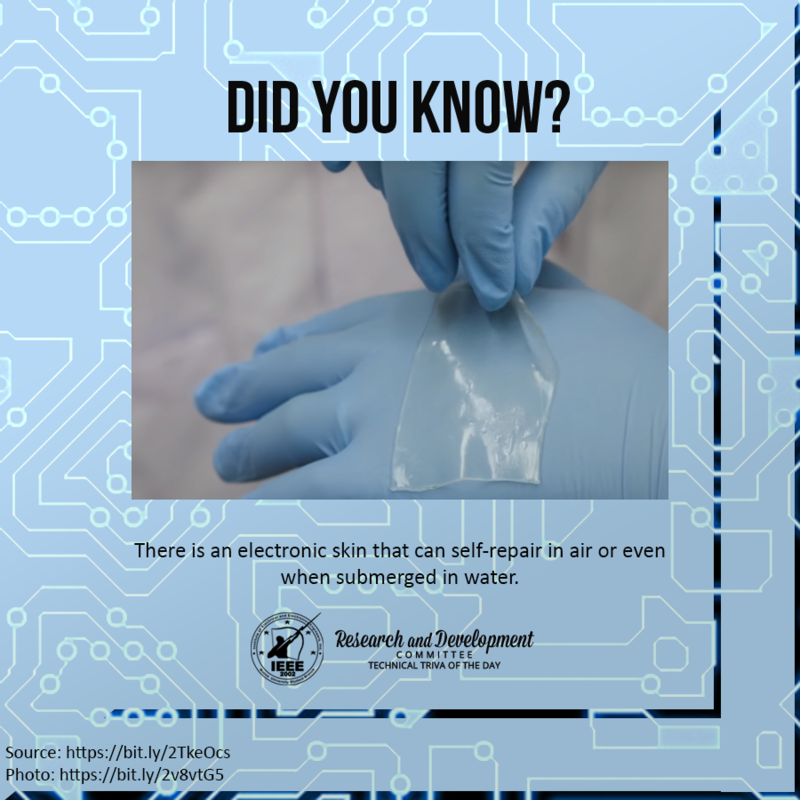 Most electronic devices are non-water resistant and fragile. When broken, we dispose them. Researchers led by Benjamin Tee, his team from the NUS Faculty of Engineering, and collaborators from Tsinghua University, and the University of California Riverside created a transparent water-resistant electronic skin that has a self-healing ability. Inspired from jellyfish, the researchers applied its characteristics; to stretch, transparency, touch-sensitive, water-resistant, and self-healing, to the electronic skin that is created by 3D printing. The material's electrical property changes upon pressing or straining it, producing readable signals that can cause different sensor applications, and because of its waterproof capability, it works well in sea water and even in acidic or alkaline environments. The researchers saw the potential of their discovery to reduce electronic material waste in the world with its self-healing capability. This research will hopefully lead to an innovation that will utilize the accumulated characteristics of a self-healing and water-resistant electronic.